Ladies, our bodies are a huge part of our pride and joy. In fact, with a hectic, constantly on-the-go lifestyle, self-care represents the time for introspective reflection and self-love. For me personally, practicing hygiene and maintaining a skin and hair regimen is a huge part of my self-care routine. While there are millions of products out there for skin and hair care, there are plenty of DIY hacks that feature all natural products and achieve the same, if not better, results. Keep reading if you are interested in learning about those quick and easy DIY hacks. While the rest of our bodies are equally important, the face holds a particular relevance, as it is the first identifier people look at. A clear face has been historically valued and sought after, hence the creation of multiple acne treatments like Pro Active. What many do not know is that there are plenty of natural resources which we can use to achieve that clear glowing skin we so long for. While any generic face wash can act as a cleanser, black soap can also be used to achieve the same results. 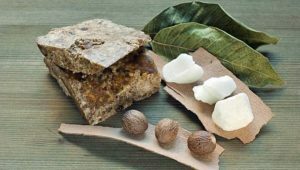 Black soap is a gentle cleanser that consists of the ash of locally harvested plants, like plantains and shea tree bark. The leaves are usually dried and then roasted in a kettle or pot at a constant temperature. Water and oils varying from palm oil to coconut oil are added and stirred into the mixture for at least a day. The soap is then left for a two-week healing period. The plantains cause the soap to release Vitamin A & E as well as iron, all of which promote healthy skin. In addition, the shea butter content offers UV protection from the sun. Overall, black soap is a wonderful cleansing agent that promotes clear, moisturized skin. While black soap can be used everyday, it is important to also exfoliate the face at least once a week. 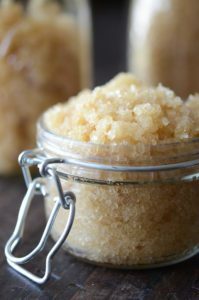 You can make your own at-home sugar scrub for the face, consisting of brown sugar, coconut oil, a few drops of lavender oil, and lemon juice. The roughness of the sugar serves to scrub off the dead skin on one’s face, while the oil moisturizes the face and the lemon juice tones. Due to its acidity, lemon juice is anti-bacterial and antimicrobial, meaning that it fights the bacteria which causes acne, and boosts the immune system to avoid future acne. The acidity also encourages dead cells to peel. In addition, lemon juice has astringent properties that shrink and extract excess oil and dirt from the pores. Lastly, lemon juice has mild bleaching properties, which serve to create an even skin tone by lightening dark spots. To top it off, vitamin E is a light moisturizer that really evens the skin tone and creates a glow to the skin. The oil is an antioxidant that contributes to neutralizing free radicals that damage cells. From personal experience, I can truly say that vitamin E oil is the best, most toning and glow promoting moisturizer for the face that I have used. For the rest of the body, one can follow a similar routine. Black soap can be used to cleanse the body, and the sugar scrub described above can be used to exfoliate the body as well. Rather than Vitamin E oil, however, cocoa butter is a heavier moisturizer that is better suited for the whole body. Cocoa butter is extracted from the cacao bean. Cocoa butter is high in antioxidants, which again fight free radicals. 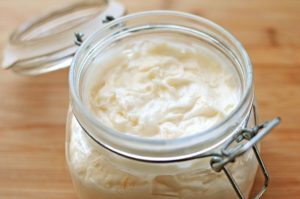 This thick butter can be used to reduce stretch marks and heal scars. While using this butter, it is important to remember that to maximize its moisturizing powers it is best to apply to the skin when the skin is still damp as it seals in the moisture from the water. Overall, clear healthy and glowing skin is not only desirable but can also contribute to feeling comfortable and confident in our bodies. As women of color who are exposed to extra stresses that come with our everyday struggles, it is important for us too to take the time out of our days to practice self-care and self-love. Let us know how these tips and tricks have produced great results for your skin!